I have to be honest, I don’t usually find any whiskey that I like that ins’t a Bourbon. My palate just doesn’t find anything with smoke enjoyable, and that rules out pretty much every scotch and many other types of whiskeys for me. 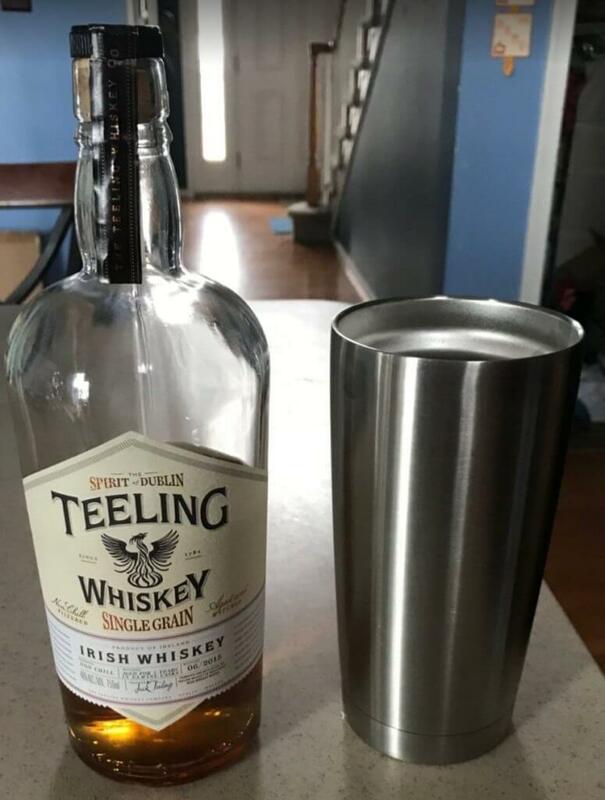 Recently I was travelling in upstate New York and the liquor store didn’t have a great selection of Bourbon, but did have this Irish Single Malt Teeling Whiskey. I picked it up on a whim, and was quite happy with the way it turned out. Overall Teeling’s scored a 70/100 and I’ll be looking for another bottle because this one is almost gone. Smooth and silky after it opens up over ice. Finishes with a creamy smoothness. For me this is a hard to find bottle. My local stores don’t carry Teelings.